OK, the title of this post implies that I will not be flying on my favorite airline anymore. That's not the case. I am in Boston tonight, reflecting on the quality of my "jetBlue experience" (for more on the phrase, see below) when I flew out here Monday night on the red-eye. As much as I hate to admit it, I really enjoyed the flight. Full disclosure: before the flight, I was predisposed toward writing a negative piece, predicting that, in all likelihood, I would have a negative "experience." (7) At boarding time -- and fifteen minutes after -- there was no one from jetBlue at the gate. No notice, no explanation ... nada. When I asked someone whether there was a delay, he shrugged and said, "hey, it's jetBlue." Ouch. (6) When a jetBlue rep finally showed up, she was wearing a field-crew safety vest. I got the feeling she was working double duty. (5) As I entered the plane, the first thing I noticed was a copy of a book called "The Hostage," perched eerily and conspicuously on a table next to a flight attendant. (4) My flight -- a red eye -- was completely full. Nary a spare seat. Nowhere to recline. (3) The attendant who did the safety speech was impressive. But he was too well-rehearsed. And he paused too long -- for dramatic effect - before uttering the phrase, "the jetBlue experience." I am a former theater producer. I notice these things. 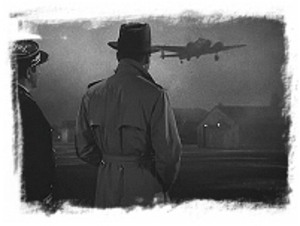 (2) When the plane took off, the engines roared like WWII propellers. I was reminded of a scary movie: Lost Horizon. (1) Did I mention that the flight -- a red eye -- was full? But here's the thing: yes, I got no sleep, but the flight was fun -- free TV all night long (on a private screen), a few oddball amenities (like this one), and -- overall -- great service. The jetBlue experience -- at least the one one I had -- was quite good, on balance. Recently, the airline screwed up big time. But the basic premise of the company -- customer experience -- is a great one, and when they have their act together, they are quite good. Time for them to get even more serious about their brand. As the dramatists like to say, your true character is revealed when you are under pressure. It may take a huge effort for jetBlue to get things completely right -- I imagine it would require a lot of work with staff -- but I am confident the ROI would be compelling.